VIPAccessEXCLUSIVE: Legendary Makeup Artist Ve Neill Interview With Alexisjoyvipaccess At The 2016 NYX FACE Awards! What do movies like The Hunger Games, Pirates of the Caribbean, Beetlejuice, Edward Scissorhands, and so much more have in common? Not only are they all iconic movies that have made entertainment history, but another thing that they have in common is that those are all movies that the legendary makeup artist Ve Neill has worked on. Imagine some of your favorite movies like those named above. Now, imagine them without the incredibly memorable makeup looks of characters like Jack Sparrow, Effie Trinket, and others. It’s clear to see that the movie would otherwise not be the same. What is also clear to see is how much of an outstanding impact Ve Neill has made in the world of makeup, beauty, and the world of movies. Some of the most phenomenal characters that have become fan-favorites are even more memorable because of their out of this world and extravagant looks and we owe all of that to none other than Ve Neill. Ve Neill is one of the most creative individuals on this planet who has changed the world of makeup artistry. Ve Neill has won several, well-deserved awards including three Academy Awards, two Emmy Awards, and so much more. There are no amount of words to describe Ve Neill’s extraordinary excellence and her talent for creating some of the most sensational makeup looks is indescribable. She has managed to make so many movies and so many projects so unforgettable because of her creative eye. In addition, Ve Neill is also a judge on Face Off, one of the most awe-inspiring shows where she gets to share some of her professional and exceptional insight in the field of makeup. There are so many different ways to describe someone as spectacular as Ve Neill but the best way to put it is in one word: a genius. 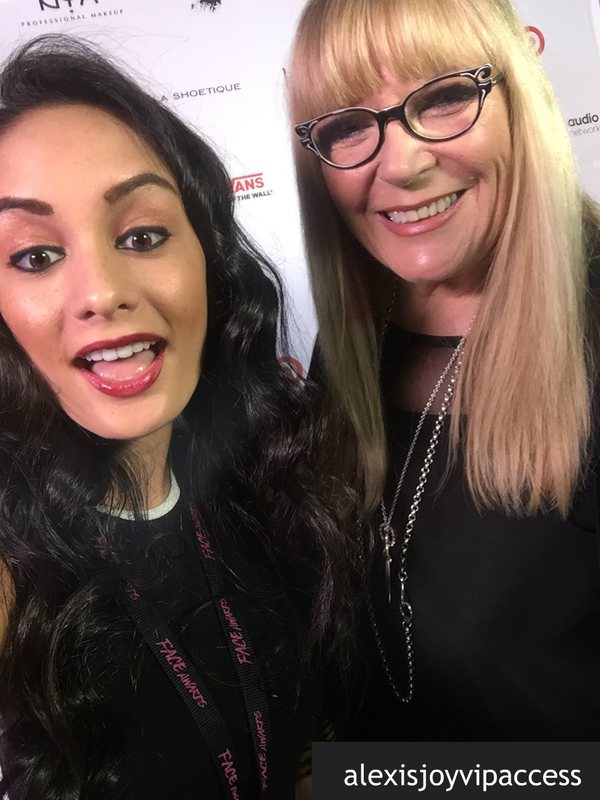 I, Alexisjoyvipaccess had the most outstanding time covering the prestigious 2016 NYX FACE Awards and had the greatest honor of interviewing the one and only Ve Neill at the event. Ve Neill dished exclusively to Alexisjoyvipaccess all about what it is like for her to create all of these memorable looks for movies, what is her favorite makeup look / character she has brought to life, and so much more only in our VIPAccessEXCLUSIVE interview. Ve Neill even revealed what beauty means to her and what it is like for her being a judge on Face Off – hear what she had to say in our VIPAccessEXCLUSIVE interview below. Thank you for the wonderful interview, Ve – it was an absolute honor interviewing you! Check out my VIPAccessEXCLUSIVE interview with the stupendous Ve Neill at the 2016 NYX FACE Awards below! Follow @NYXCosmetics on Twitter and join in on the conversation by using #NYXFACEAwards! Previous VIPAccessEXCLUSIVE: The Wonderful Haley Tju Updated Interview With Alexisjoyvipaccess At The Say NO Bullying Festival! Next VIPAccessEXCLUSIVE: Jagger Eaton Interview With Alexisjoyvipaccess – Tune In To “Jagger Eaton’s Mega Life” On September 9th!